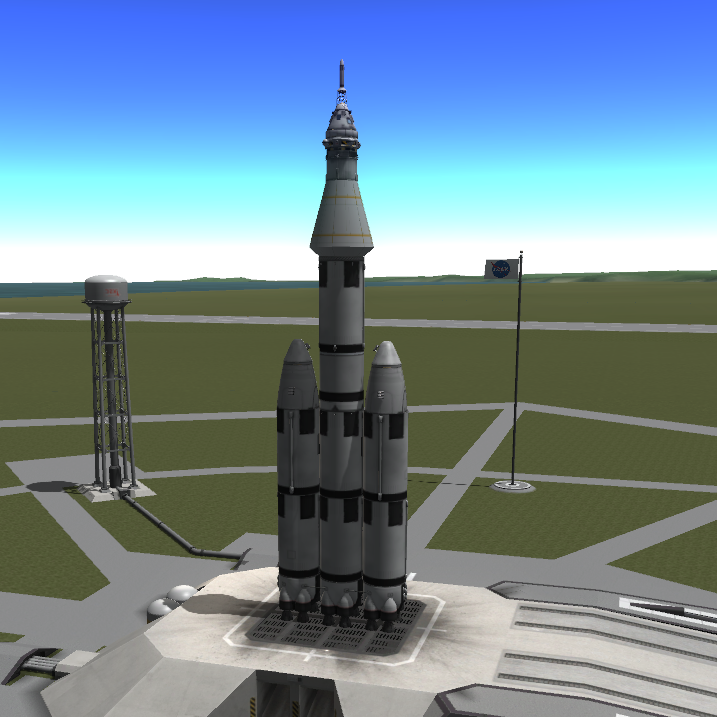 Have you ever wanted to go to the Mun, only to find your skills at rocket assembly are nonexistent? Have you searched through everywhere to find a suitable Mun Lander, yet only found others with the same needs? If so, look no further! I have here a fail proof ticket to that rocky ball of terrain, which you will love! All you need is a copy of KSP and the ability to press Space*. It comes with a CSM (Command Service Module), a Lunar Lander, a launch vehicle, and is pre-pressurized full of air, which Kerbals breath! The ship suits 3 kerbals and is best flown 10Km around the Mun. Now go out there and plummet to the cold, hard face of the Mun! Yay I launched it but it failed and I would like to issue a warranty statement and... DANGIT!! !